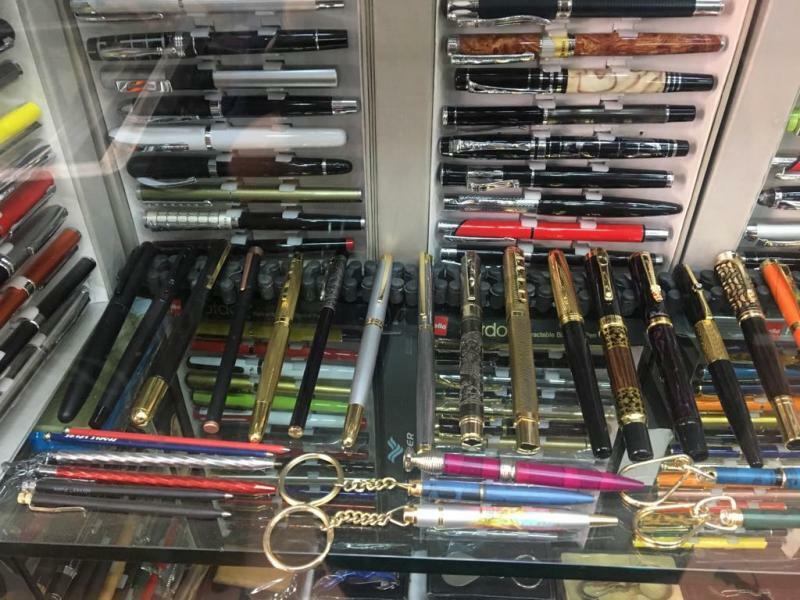 Before I embarked on my trip to Avenue Road, I had two places in mind - the highly suggested Meenakshi Pen Mart, and R. V Nadam and Co, which I had read an article about. I tried to start my trip by finding Meenakshi Pen Mart but it proved too difficult to find. Google Maps showed an incorrect location, and when I asked other shopkeepers, they were unable to direct me either. After about thirty minutes of searching, I decided to abandon, and hunt for R.V Nadam and Co. This shop was ten minutes away, and it was quite easy to find. The nearby landmark is Vijayalakshmi Theatre. It’s also easy to miss since it’s a small shop. The store owner, whose name I unfortunately did not get, was extremely helpful in showing us his collection. 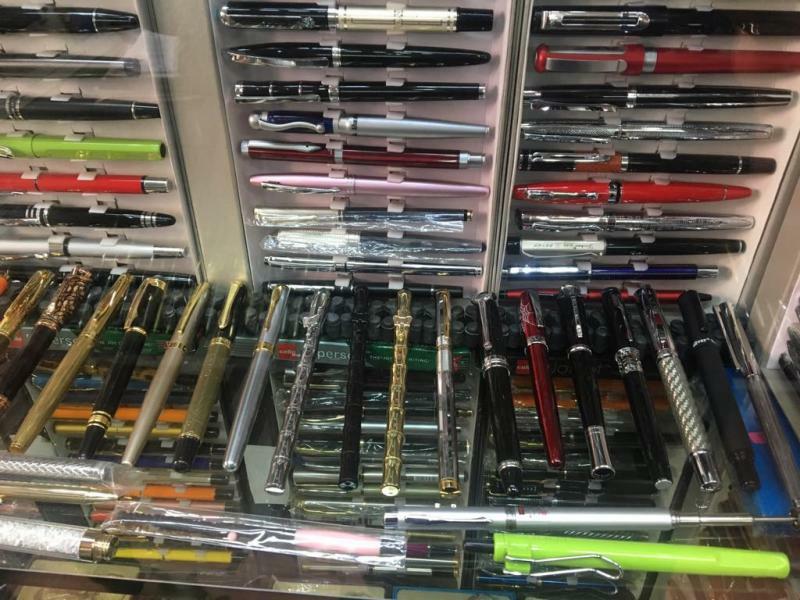 The store has a wide array of pens, ranging from ball points to gel pens to of course, fountain pens. They sell the Lamy Safari and the Lamy 2000 for lesser than the actual price. Their collection is remarkable, they sold a lot of beautiful Indian ebonites, as well as foreign brands. 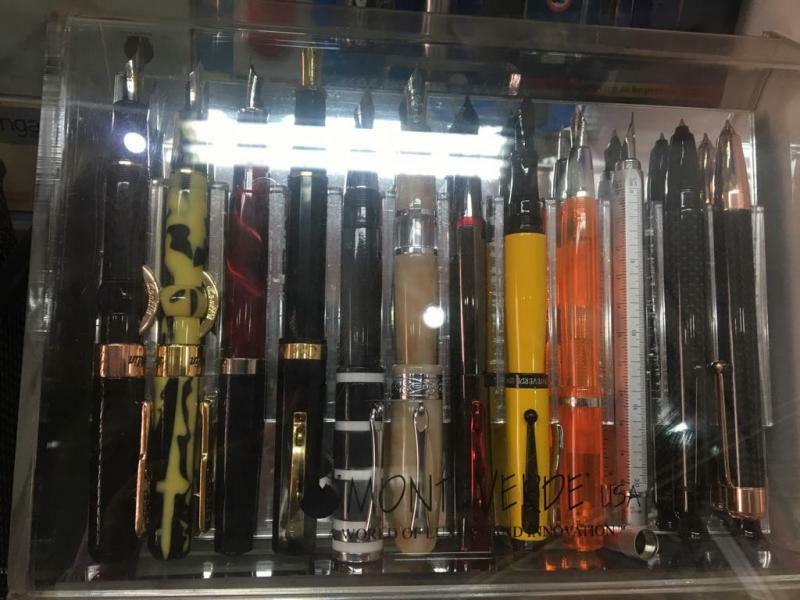 The pictures shown don’t do justice to how the actual pens looked. The owner was kind enough to let me handle the Lamy 2000. It was surreal, since I consider it my dream pen (yes, I’m a nerd). They also stocked inks, from bril, to quinks to waterman. I bought the Bril Laurel Rose, Green and Red. I will post my review of these inks when I get around to using them. 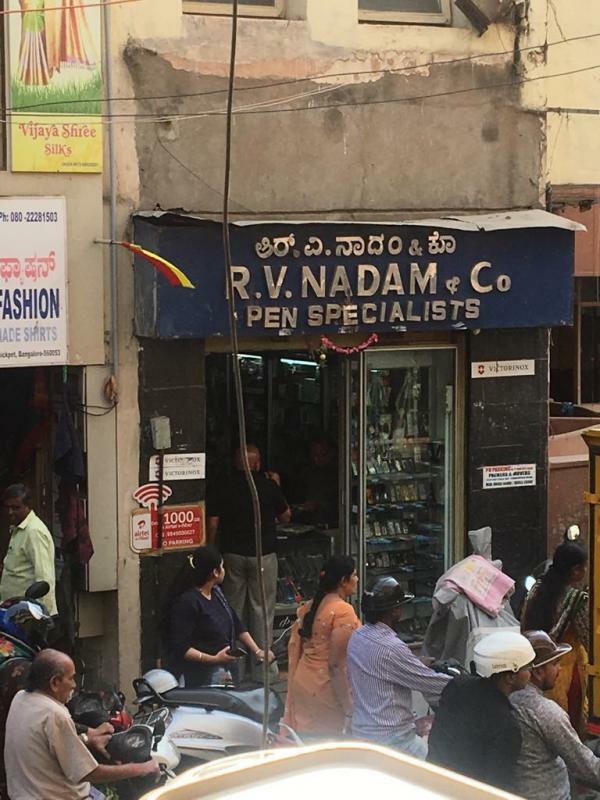 Unfortunately, the reason I went there was for second hand pens, and specifically flex nibs, and they had neither, but it’s definitely a shop that every Bangalorean FP enthusiast should go to. Nice! Thanks for the informative post... Unfortunately even I missed Meenakshi stores last time! Thanks for the lovely update. Meenakshi stores is right on avenue road. Ah, I was unlucky then, because I scoured the entire road and still wasn't able to find it. It's alright though, as R.V Nadam and Co made the journey worth the trouble. Meenakshi Store is no longer accessible from the main road. There is a building under construction where the store used to be, you need to enter that building and walk all the way to the back. He has relocated there.. I was there last year (2018) in Apr / May and had the same problem with the google maps location. A shopkeeper of a stationery store in front of that building helped us find it. Is that so? Thanks a lot. Will keep that in mind next time I go. thanks for this update Rakshit. I was slightly worried reading reports thinking had they shut shop? It happens all the time. Most of old timers in mumbai also have closed. im a beginner and have very limited knowledge in FP scene. I went to R V Nadam & Co, Chickpet, yesterday, based on the reviews and article about them in the internet. He don't stock any fountain brand which we heard all over the internet, no Pilot Metropolitan, he never heard of the brand TWSBI, citing them as marwadi brand. 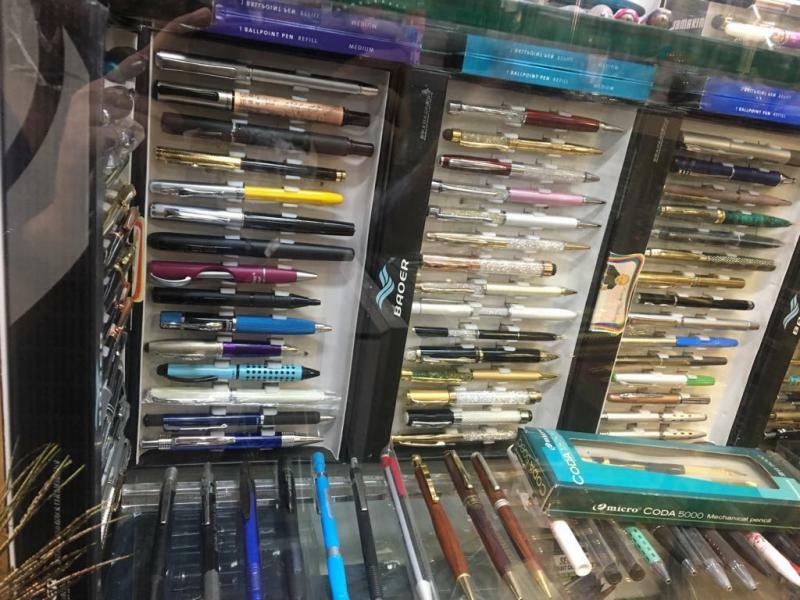 But has magnitude of good looking Korean/ Chinese/ pen collection mostly procured from grey market, no box no-cover. I have seen so many "good looking" pen with good build quality. But prices are way way high. The Second pen i bought around INR 2000/- , is untraceable in internet, has a genius iridium nib, and a jinhao converter. The build quality of the pen is very good, as well as the looks. But it was not very smooth but the shop insisted to buy it and says, since we are testing in dipped ink, its behaving like this once filled with ink it will act good. But while in home i filled it with Parker ink, its bloating & very very wet and cant be used in any normal paper, although it fine nib (according to shop, not mention anywhere in nib). in normal classmate notebook (60 gsm) its making the opposite side of paper unusable. My parkers never had any problem in this paper, even the the low budget 170/- parker beta is much smoother then both of these this pens. Lammy safari he quoted 650/- above the quote i got from william pen, when i asked why, so he said these are original and others selling duplicate. Parker frontier matt black was quoted 2800/-. I haven't received any bills for my purchase, as well. kind of all word of mouth and mutual trust factor type assurity given. As a human i can trust the owner but cant say the same for the product and prices. I don't know how to react but i am feeling cheated and thrown 3000/- rupees and one day of my life in the drain, and would strongly advice against this shop. I made a terrible mistake and got fooled by the online google reviews. Edited by Decipher, 16 February 2019 - 13:01. 3. Pen you picked (jinhao) may be slightly over priced but as you said it is a variant and price charged is acceptable and as per your link it shows the pen out of stock and priced at 5$ (when converted 75*5 = 375 +taxes +Currency conversion charges). 5. I am sorry to say you are fooling others and you are not been fooled by google reviews. Edited by dheerajstock, 18 February 2019 - 05:20. Dheeraj, to say that he is fooling others seems a bit extreme. I personally do not have any affiliations to the store and I had a good experience. Decipher may be wrong, but we do not know if his intentions are bad. I was quoted the Lamy Safari and the 2000 for lesser than the lamyshop.in price, so I am not sure why he would quote more for him. i don't have anything against that shop, i was not associated with the shop in any manner, in fact i have discovered that shop only from this forum. I'm not saying the shop is bad, my experience was terrible, plain and simple. i am unable to understand what made you say, that i my intentions are bad ? i wasn't even sure what i was buying until i came home with the product and tried to fine information about them. i posted the images of pen also, 100 rs pen sold in 900+ how would you react ? if my home is nearby i wold have gone to his shop and gifted him the pens back him. but i don't want to waste my one day of life again. i have posted the detail in reddit and decoded both the pens, the red one is Luoshi , 罗氏 , very common Chinese brand of cheap pens. 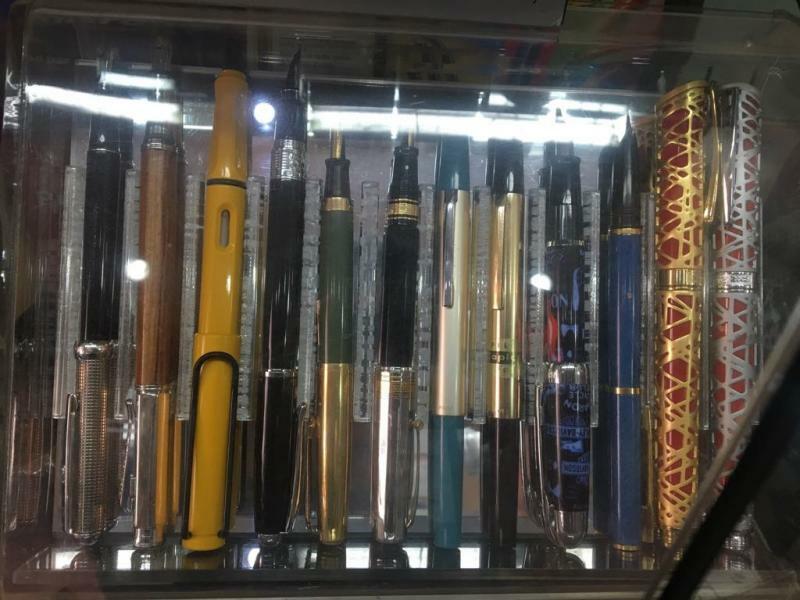 and the green one is older model of Jinhao 599. You are much much knowledgeable then me in fountain pen scene and can know how much both are valued. you had good experience because you have knowledge and experience, i was noob (i am learning) went to the shop get some guidance because they are the oldest in the city. I stand on every word i have said above in my post. for point #3 kindly see this image. as you said lets not discuss this anymore i'm done with this and that shop. Edited by Decipher, 18 February 2019 - 11:36.